Upper Room Grace Ministries was founded in the year 2000. Our ministry calling is to reach out to the people in the remote villages of western Kenya, especially around Mt. Elgon. Our vision of reaching out to the neighborhood with the love of Christ is through establishing cell groups and local churches by conducting crusades and conferences to reach the people in areas who have never heard the gospel of Jesus Christ. During these crusades many come to Jesus. Our Missions Team forms cell groups among the people, and our Pastors and Missions Team go back to the areas regularly to establish the people in the gospel, pray with them, and meet their needs. Much follow-up is done for each location. We train up Pastors to shepherd the people in those areas and continue to conduct monthly training meetings with all those Pastors. 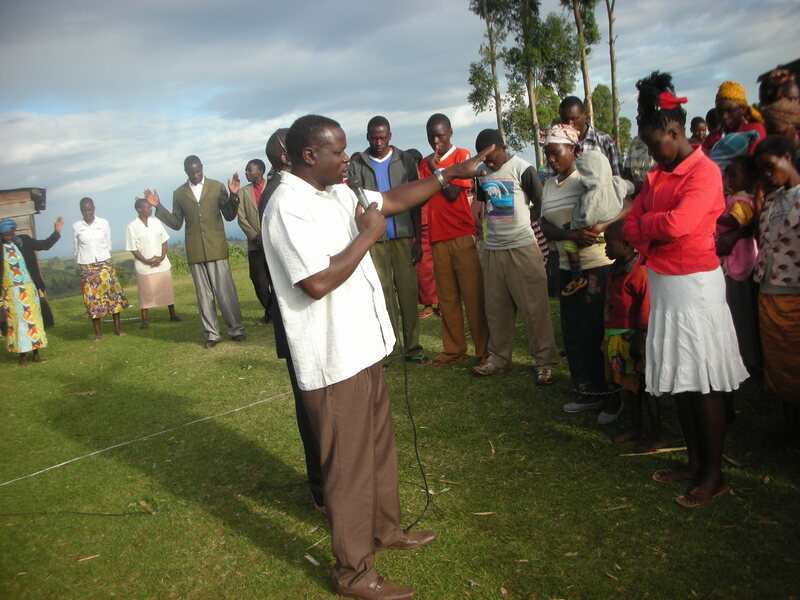 We have also launched Pneuma School of Ministry. Our goal is to train and equip Pastors and Leaders in the Word of God to fulfill their destiny. We also conduct quarterly conferences for young people, women, leadership, and the whole community to train and equip them in the gospel. We welcome people and leadership from various countries and Pastors from all over Kenya to these conferences.